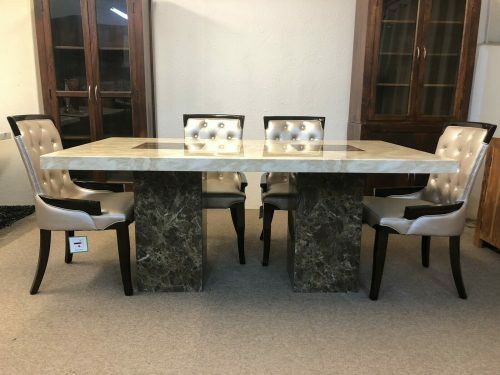 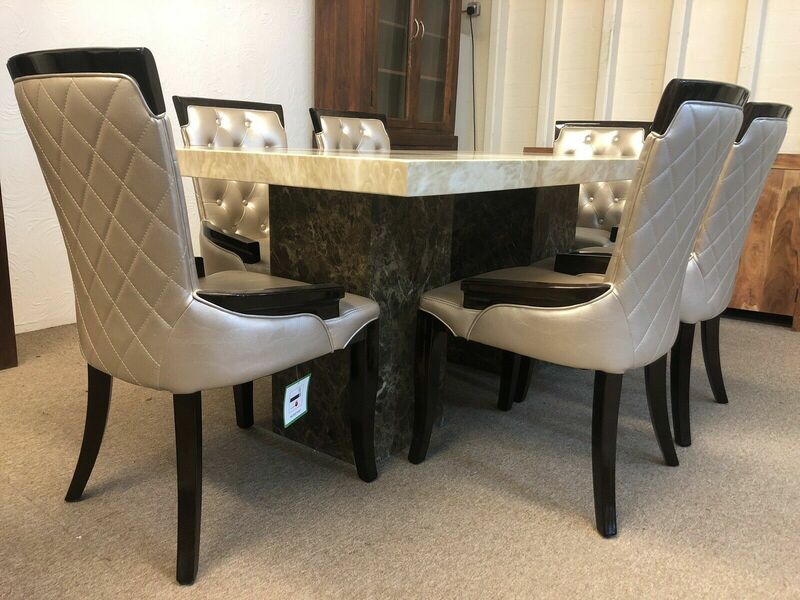 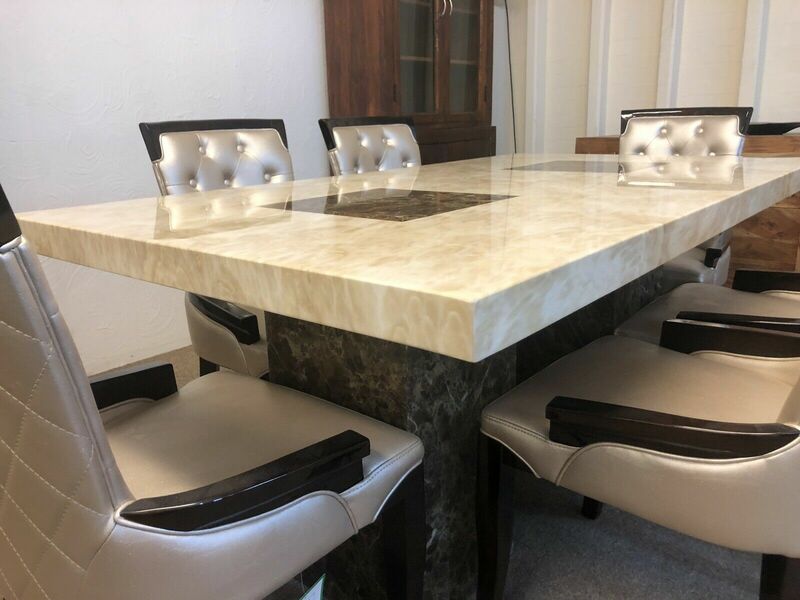 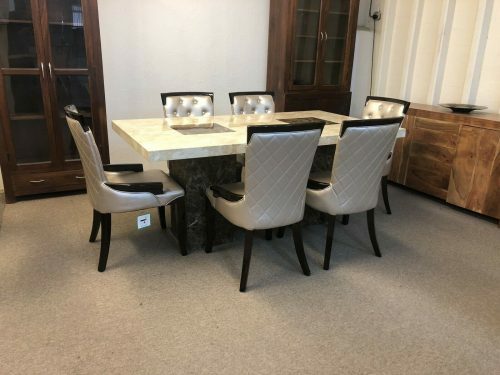 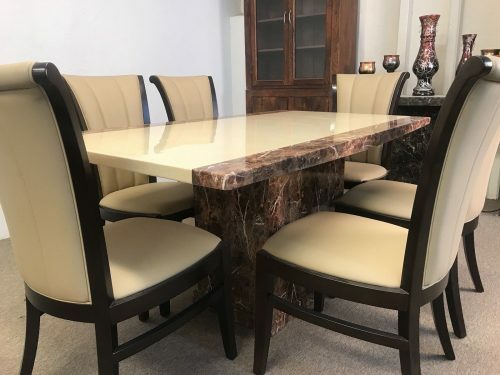 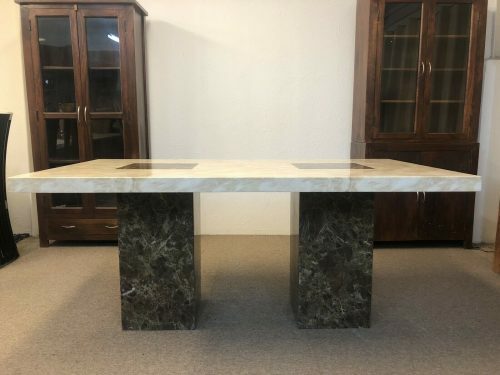 A Marble Dining Table with Liquored Surface Finish made of marble and resin for longer durability. 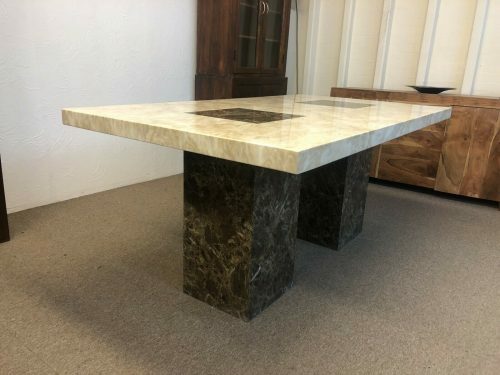 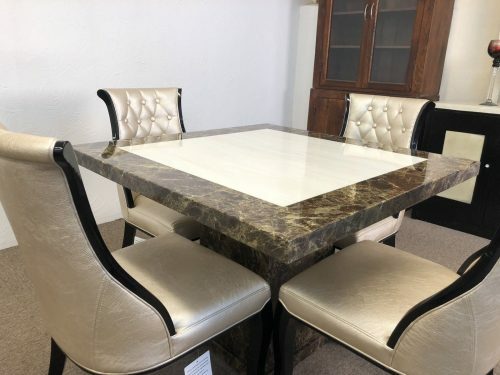 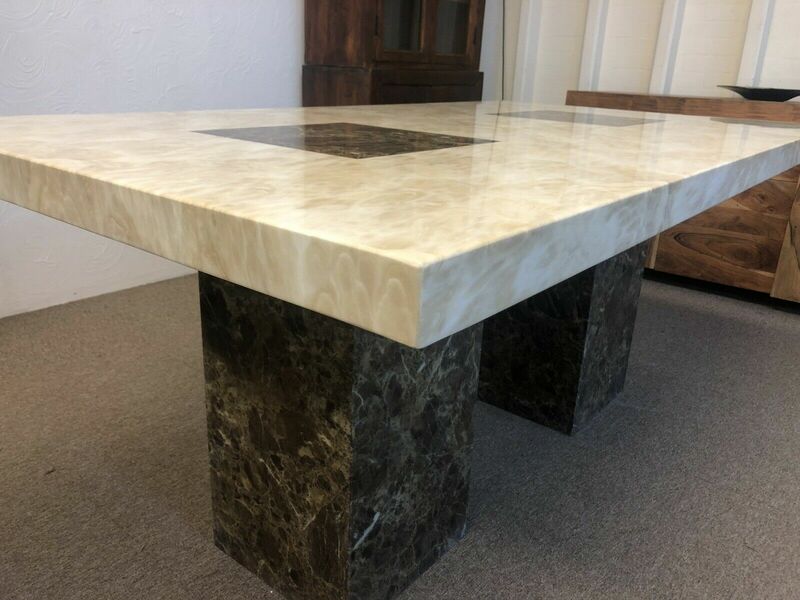 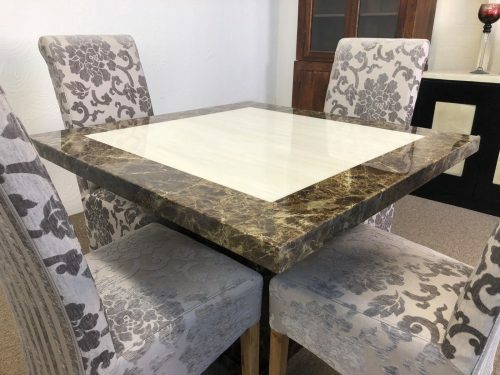 This table is finished with a cream/beige coloured top with 2 squares in the middle, and a river rock pattern on base matching the two squares. 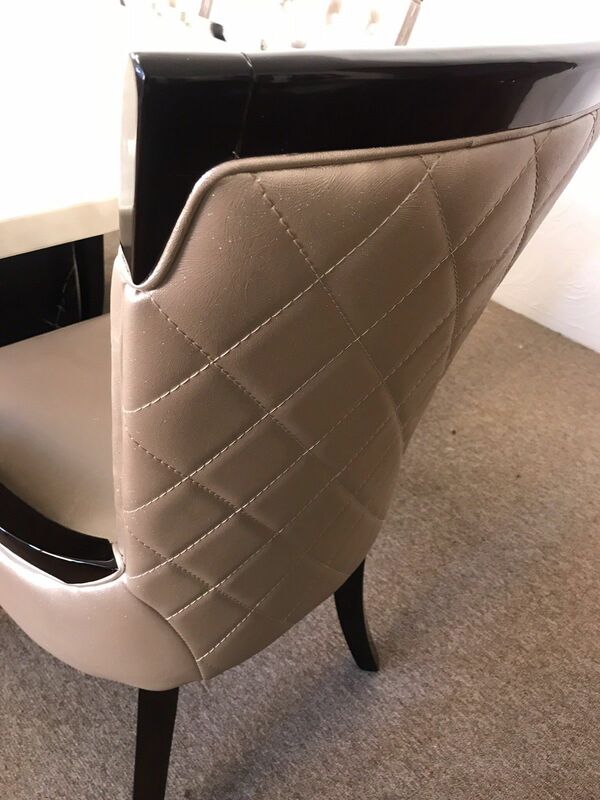 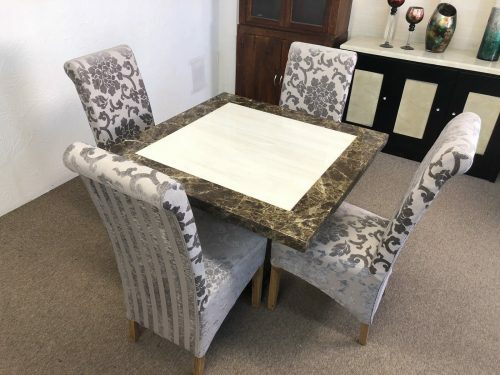 (See the photographs) It is a very generous 220cms long and 100cms wide (also available in 180x100cm), meaning you can seat 6-8 diners in comfort depending on your choice of table size. 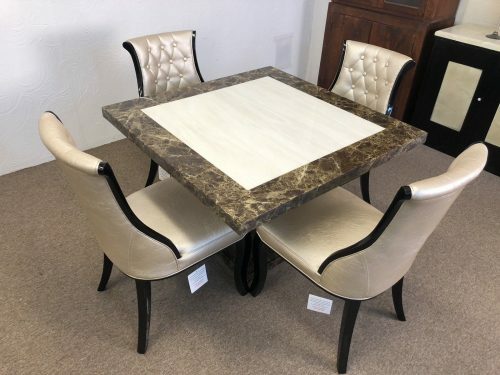 It will definitely be the talking point of your dinner parties and the focal point of any dining room. 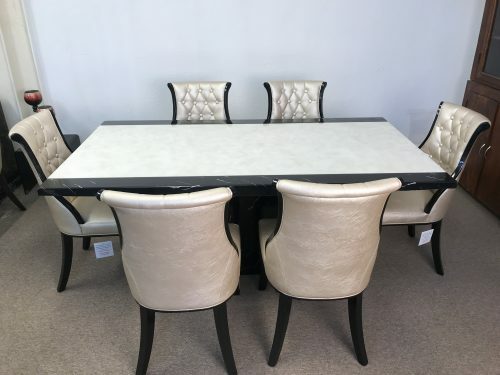 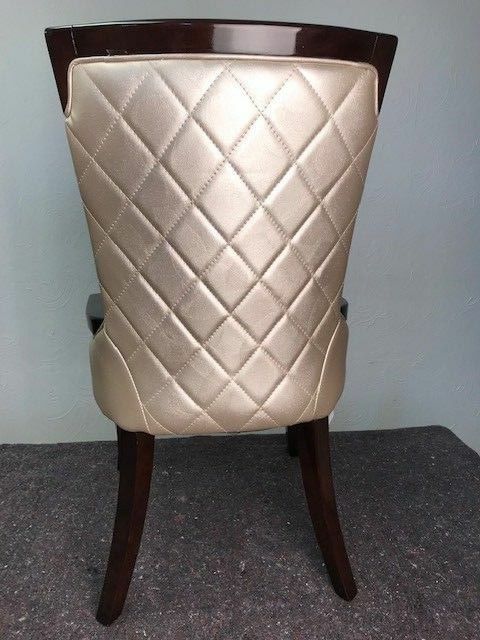 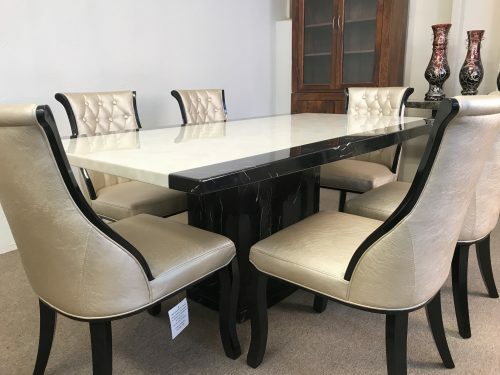 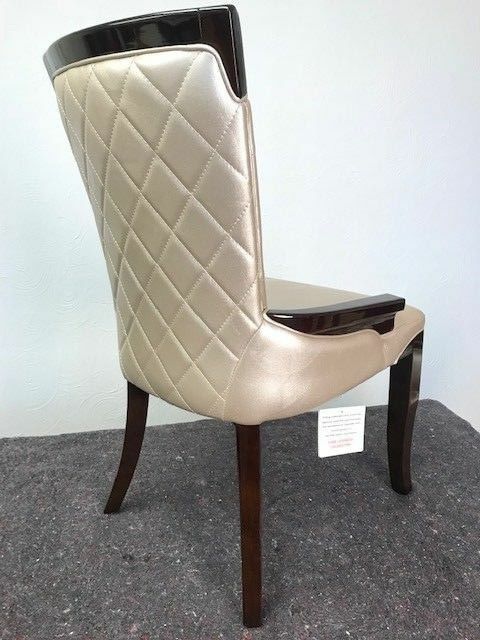 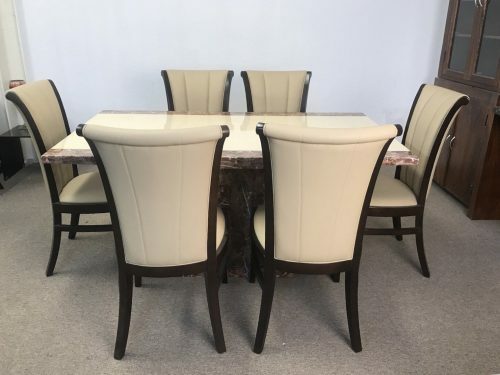 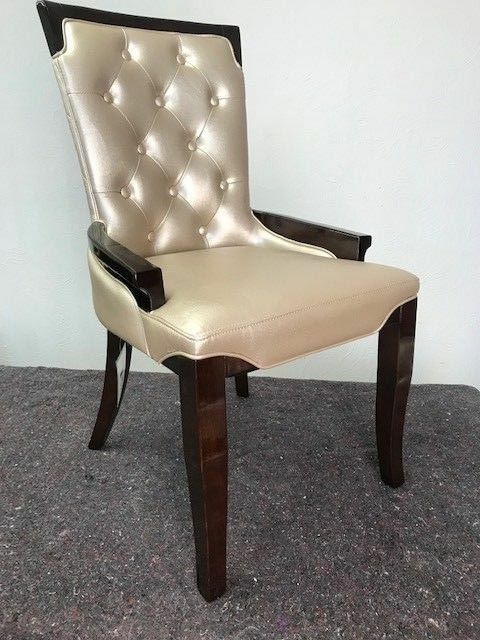 It comes with six gold bonded-leather chairs.